Because sometimes you really DO need it in a weekend! IS BACK ON THE CALENDAR! Have you always wanted to learn how to quilt, ORhave you been quilting for awhile, and you JUST! AREN'T! GETTING! the results you want? ?Then this class if for you! 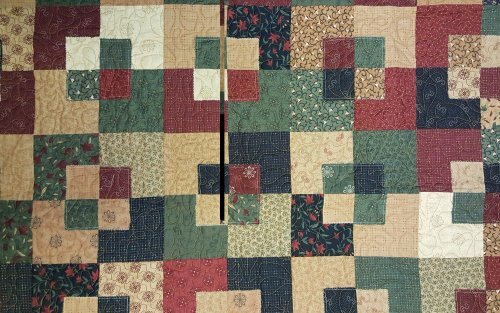 Twelve Hours of instruction split between 3 different nights will guide you through every stage of quilting, from rotary cutting safely and accurately to getting a perfect 1/4"seam to pressing for success, to getting good points, to layering, quilting and binding. OK, let's admit it quietly to ourselves....SOMETIMES you need a quilt fast, and it just doesn't have to be an heirloom. 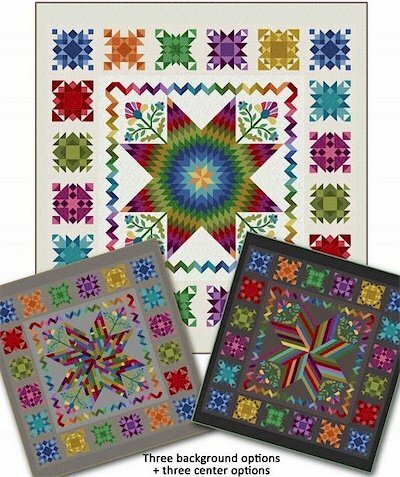 This class includes about 3 hours of instruction and the rest of the day to get your quilt DONE!ONE Layer cake plus ONE Charm Pack is all you needThe Five and Dime Ruler gets this quilt done in a flash. New Layer Cakes and Charms have arrived in the shop! This is the same apron we use during long-arm quilting to keep our "gear"
Since it ties at the waist, it doesn't make you hot mamas any hotter. 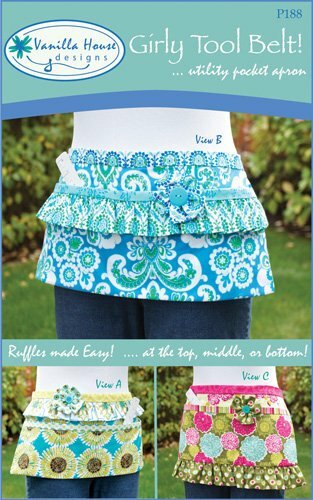 Plenty of pockets to store your necessary items on you during quilting, or piecing! Or perhaps for a couple of bottles of wine, if it's been "one of those days". CLICK HERE TO SEE MORE OR REGISTER! SUPERQuilter meets February 10th - This month we will be using EQ7 to design our own blocks! Quirky Quilters meets February 21st Join us for "Farm Girl Vintage", you can join up ANYtime, since each class is "it's own thing"
(this quilt is hanging in the shop, and is a MUST SEE...it will blow you away!